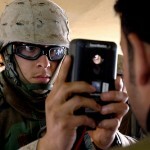 A story published in Wired today reported that the U.S. is keeping the Iraqi biometric database that it assembled over the course of the war effort as a “tool for counterterrorism.” During the 8 year war in Iraq, the U.S. military actively collected biometric information on three million Iraqis largely to flesh out suspected insurgents and distinguish them from normal citizens. 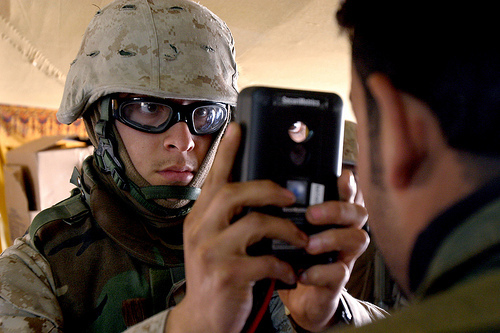 Residents in hot spots like Fallujah, citizens aiming to join the Iraqi police force and those who worked on U.S. military bases are examples of groups targeted by the U.S. for collection of biometric information. The logical question that arises is why the U.S. did not hand over the biometric database to Iraqi officials once the war ended. Speculation is that because of continued sectarian divides within Iraq, officials there simply could not be trusted to maintain the database in the face of potential theft of the information from insurgents and other militia groups that still exist within the region. The article goes on to report that the U.S. has also collecting biometric information on citizens of Afghanistan for years even going as far as revealing that documents released by Wikileaks suggest that efforts have been made to collect biometric information on foreign leaders. Although the U.S. claims that collection of Afghan and Iraqi biometric data is all for counterterrorism purposes, there are bound to be questions raised about the true intentions of the database and whether this effort is part of a larger strategy to amass a large scale biometric database of rogue countries. Can we expect all future war efforts to include a campaign that collects biometric data of all citizens? How secure is the information in U.S. hands? Does this violate any international laws governing the civil rights of individuals? If not, should there be safeguards in place that protect the biometric information of an individual and dictate who has the right to collect and store this information? Clearly the use of biometrics to find and capture those responsible for crimes like genocide, terrorism and corruption is an important tool in the fight for freedom and equality but as the military use of biometric identification increases across the global landscape there are bound to be questions, issues and controversies that will result which may jeopardize the potential of this technology to be an effective tool to identify individuals. What are your thoughts? Should the U.S. be allowed to keep the a biometric database of Iraqi’s and Afghan citizens or citizens of any other country?